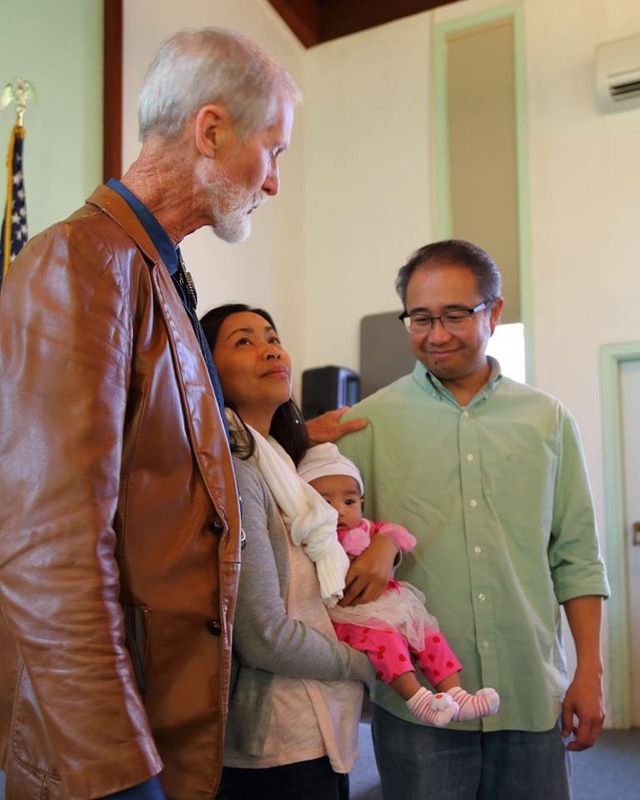 Proud parents, Omar and Jane Hilario, were excited to present their princess, Brenna, to the Lord. 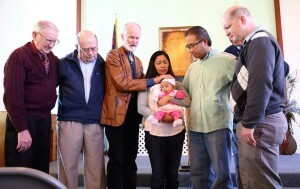 Pastor JR performed his last ceremony by praying over and asking for God’s blessings over Brenna. The Lord Jesus himself said: “Let the little children come to me, and do not hinder them, for the kingdom of God belongs to such as these.” It was a great celebration and will be treasured for a long time by everyone involved – including Brenna. Brenna was so much at home during the ceremony. She did not cry or make any sound. She just stared out at everyone and even cracked a smile at one point. Congratulations to the proud parents, Omar and Jane!